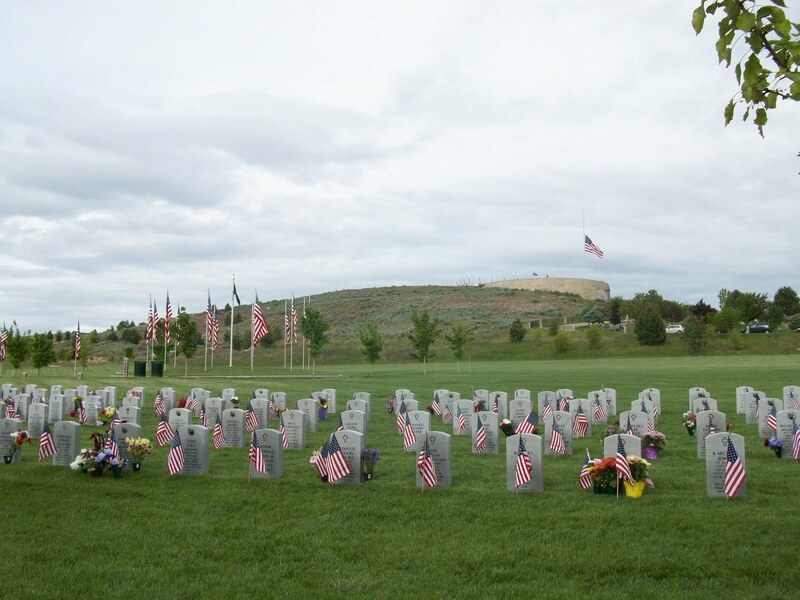 On Friday I played for a military funeral at the Veteran’s Cemetery in Boise. The deceased was an 83-year-old woman, a veteran, probably of WWII. While I feel privileged to play a small part in ceremonies, rarely is my curiosity about those involved satisfied. And I don’t feel it’s appropriate for me to inquire. Sometimes the funeral director will offer information about the departed or their family. In this case, the attendees numbered only 12, the smallest funeral I’ve played for or attended. But the visible grief I saw – especially from the woman who received the flag; perhaps the daughter? – moved me to tears as I played “Amazing Grace” while watching them dab at their eyes and cheeks with white handkerchiefs. I usually just play and leave, but after having listened to what might have been the brother deliver a short eulogy in fits and starts of sobbing, and watching the family attend to each other, I wanted to express my condolences. They thanked me profusely. I won’t forget this one. The day after the funeral I was hired to play at a one-year-old’s birthday. I’ve played for other birthday parties, but never for someone this young, and didn’t know what to expect. On a gorgeous summer evening, at the Municipal Park in Boise, right along the river, under a canopy of massive silver maples, a group of over 100 people gathered for what turned out to be a rather elaborate luau in honor of this child. It was the most diverse group of people I’ve seen since moving to Boise 11 years ago. The host (grandfather) was Samoan, and was doing a sound check on his PA system with his koa guitar and ukelele as I arrived. I asked him why a bagpiper at a luau, and he explained that they wanted to celebrate all the backgrounds of his grandson: the Polynesian music (he lamented that his relatives in Salt Lake were unable to make it; they were planning to do a Samoan knife dance), some other European influences, and the Scottish side. I played for half an hour as people arrived and the food began appearing (a mouth-watering spread! ), and then finished by leading the whole group in “Happy Birthday” while the birthday boy beamed in his beautiful mother’s arms. 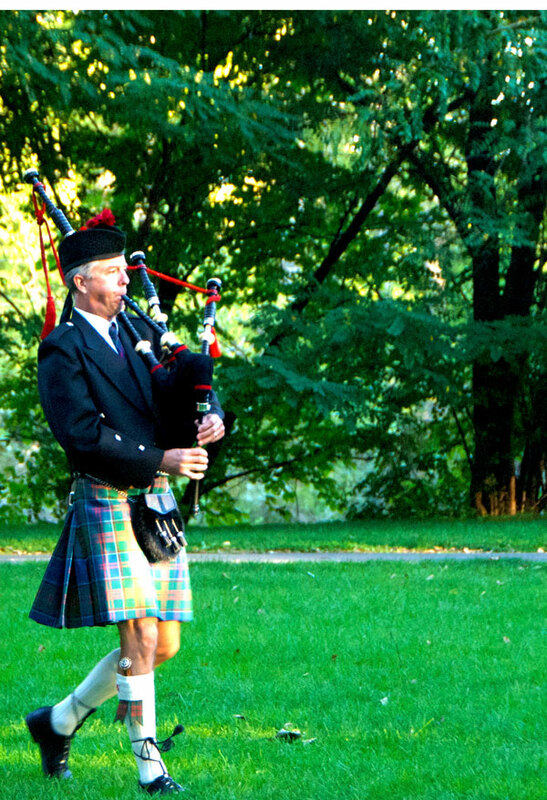 Afterward, while walking back to my truck, hearing the Samoan grandfather singing (an excellent musician), someone behind me called out, “Hey piper!” It was one of the child’s grandfathers, the Scottish side. He asked what my tartan clan was (it’s Stewart of Appin), and we chatted a bit. He thanked me for playing. I felt, for the third time in the past couple weeks, while wearing my kilt, very fortunate to witness and contribute to such positive events. You might think that a funeral shouldn’t be included as a good thing, but it is. You can’t live forever. It is good people want to see you off. It’s not having a funeral that is a bad thing. Meanwhile, I’m working on a better set of music for the boy’s second birthday. If his first was any measure, the second will be huge. 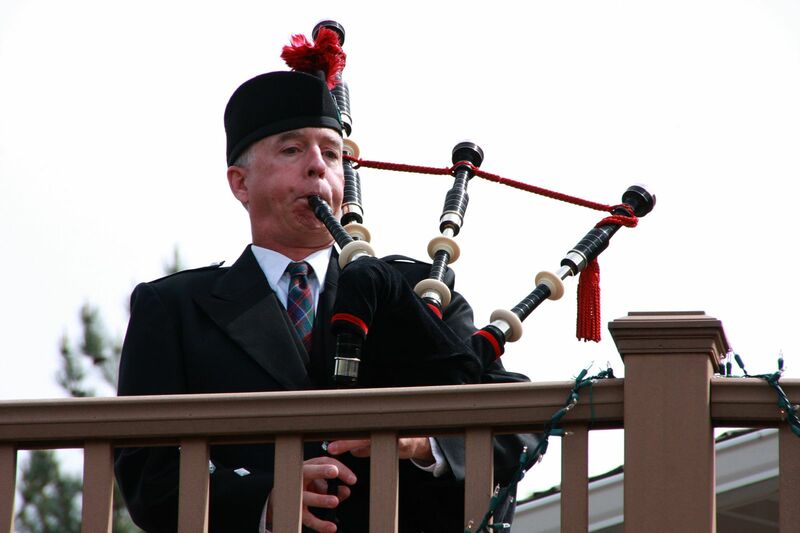 This entry was posted on Sunday, June 26th, 2011 at 7:59 pm	and tagged with bagpipes, birthdays, funerals, weddings and posted in Bagpipes, Music. You can follow any responses to this entry through the RSS 2.0 feed.